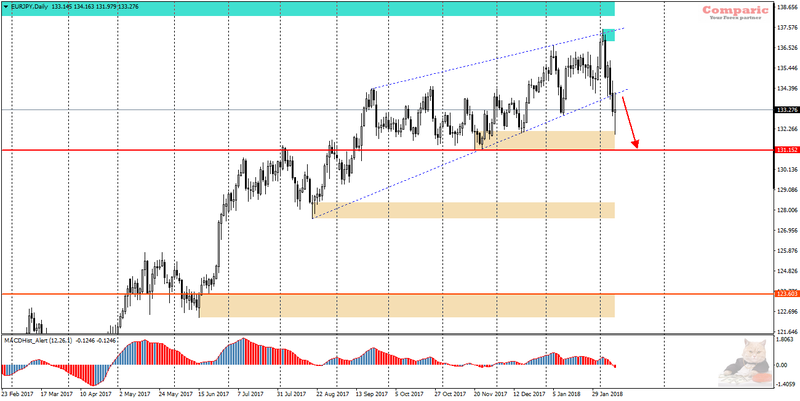 EURJPY – on Thursday last week, the price broke out from a ascending wedge build from September 2017. 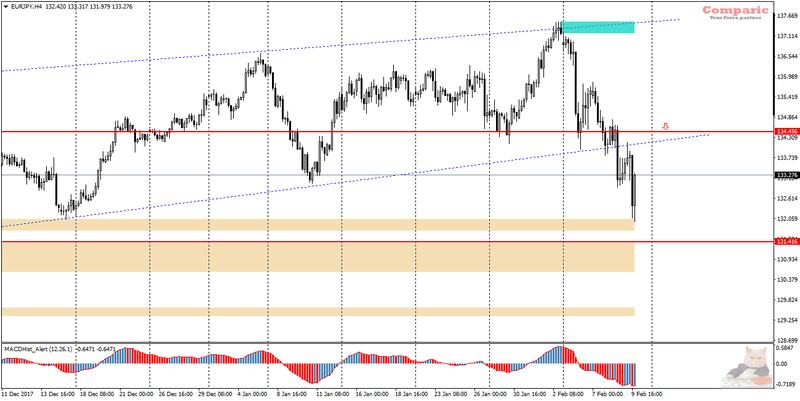 On Friday there was a very precise re-test of the lower limit of this wedge, and the session ended at 133.25. Technically, the situation seems quite clear, the likelihood of continuation of declines is very high.